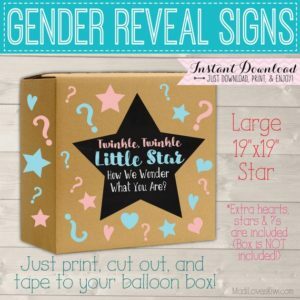 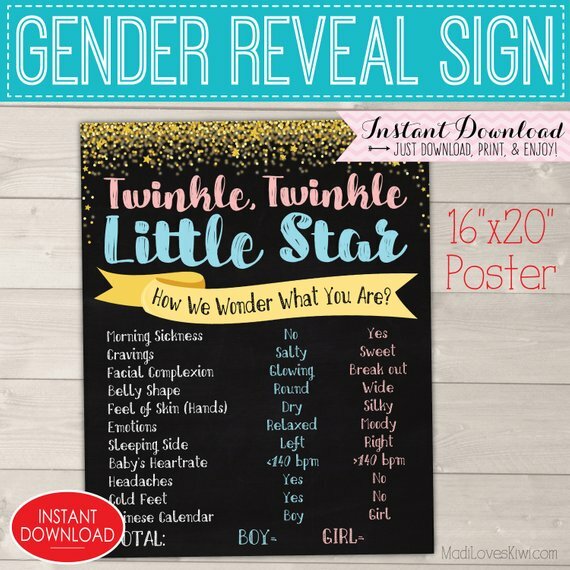 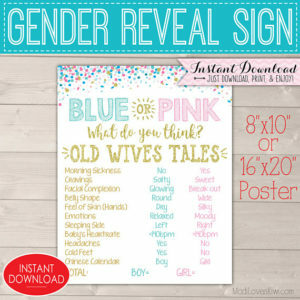 If you are throwing a Twinkle Twinkle Little Star Gender Reveal Party, this printable Old Wives Tales Poster will be perfect! 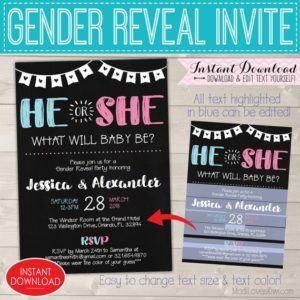 Just print it out then ask the mother to circle her answers at the party. 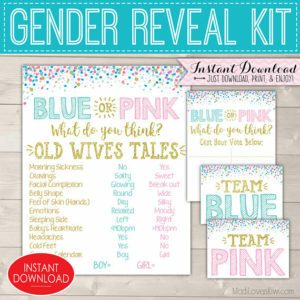 It will be even more fun if she throws in a few funny stories… weird food cravings at 3am in the middle of a snow storm?! 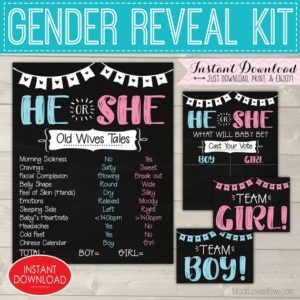 And in case you were wondering, these Old Wives Tales predicted the gender of each of my babies correctly, so maybe it will for you too! 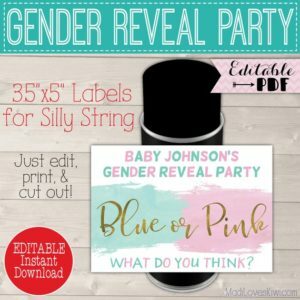 Even if it’s wrong, everyone will enjoy learning your answers at the gender reveal party!